HCM City (VNA) – Expatriate experts gathered together with their counterparts and managers in the homeland at a meeting in Ho Chi Minh City on February 17 to discuss their role in the country’s innovation. Co-hosted by the Fostering Innovation through Research, Science and Technology (FIRST) project and the Association for Liaison with Overseas Vietnamese (ALOV), the event focused on policy proposals to take full advantage of the ability of overseas Vietnamese intellectuals to serve the homeland’s innovation and creativity. ALOV President Nguyen Phu Binh said the meeting aims to enhance links among overseas intellectuals, thus promoting their contributions to the homeland’s development. 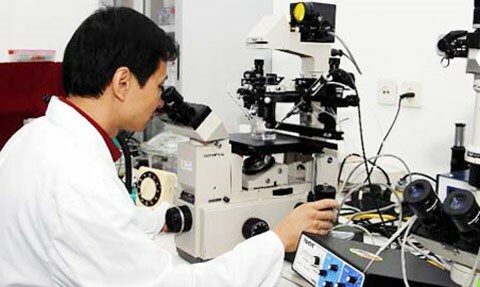 According to Minister of Science and Technology Nguyen Quan, Vietnam has bettered its legal documents to facilitate scientific and technological development, including new regulations related to start - ups in the country. With their rich experience, overseas intellectuals, especially those living in developed countries, will make crucial contributions to the field, he said, stressing that they are a core element for science and technology development in the country. The FIRST project will increase its efforts to lure Vietnamese experts aboard, and foreigners alike, to join scientific research activities in Vietnam, he added. The project, which runs from 2014 to 2019, aims to support science-technology development and innovation in Vietnam through piloting a number of policies to mobilise the creativity of scientists and promote market-oriented scientific research.